Today kind of went sideways. I got my bench vise bolted down this evening, but I’m too tired to tackle my chain tonight. I want to be fresh for that, so tomorrow. Instead, for today’s project, I made another set of simple earrings. 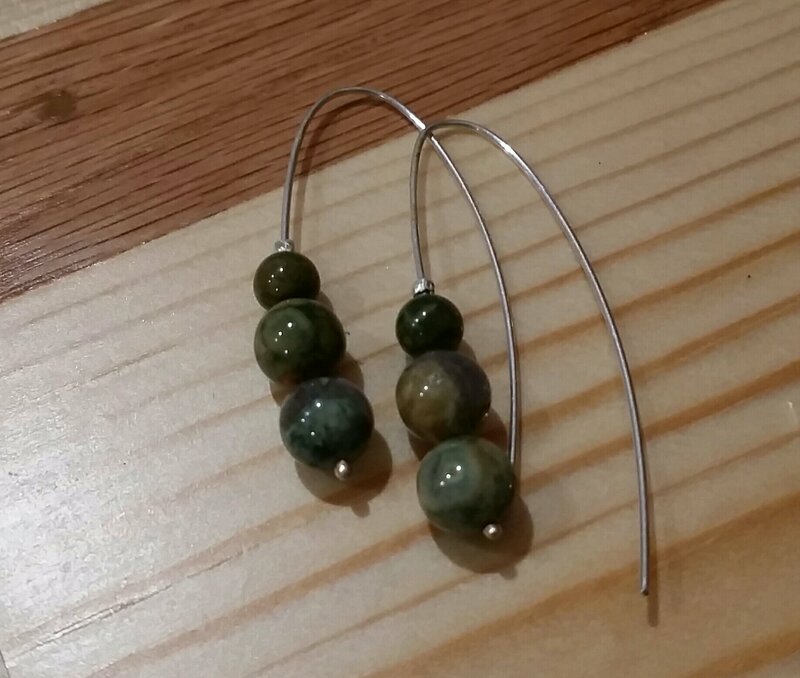 This time I used moss agate beads – it’s such a pretty stone, and I really like this style of earring. I’ll tumble them to strengthen the wires when I finish the bracelet. They can share! This entry was posted in Art, Metal and tagged 100 Days of Metal, Earrings, Silver. Bookmark the permalink. These are so beautiful Ann!